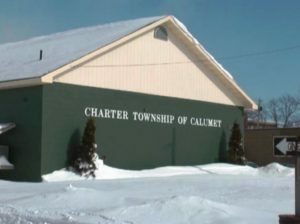 Public comments are still being accepted for Calumet Township’s Five Year Recreation Plan. The draft of the plan was completed by the township’s Board of Trustees and members of the public on December 4th. The draft plan is available for public review by visiting the Calumet Township’s website. There will be two public hearings on the plan–the first is this Friday at 1pm at the Calumet Township office and the second on January 18th at 1pm. The public comment period closes on Thursday, January 17th. The Board of Trustees is expected to adopt the plan on Friday, January 25th at their regular monthly meeting. The plan will then be submitted to UP Engineers & Architects on or before January 31st.